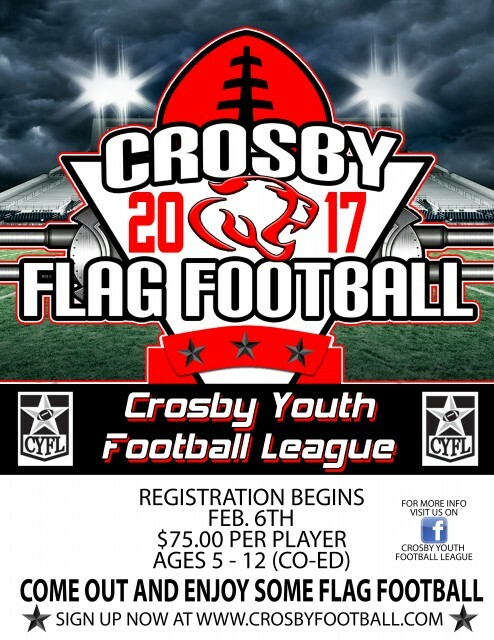 Updated Sunday February 26, 2017 by Crosby Youth Football League. Usually will have one practice a week but that could change depending on what the coaches want. $75.00 per child to sign up. "God is good all the time!"